How to remove Skin tags? To understand how skin tag removal is done, we need to understand what skin tags are. Skin Tags are soft, loose bumps found on your skin. These skin tags are mostly found deep into the fold of your skin. They don’t contain collagen and can hence appear to be a loose kind of skin growth that’s found mainly in closed folds of your skin, like your armpit areas, the neck folds, breasts, and eyelids(1). These skin tags are usually not cancerous and are benign. They can have a stalk or a stub that keeps them in place and are usually light pink in color. In some cases they can be black. Skin tags usually turn black when the blood vessels in them get constricted and the blood flow is stopped, this also means the oxygen flow is hindered as well. How are Skin Tags caused? Since skin tags occur usually between the skin folds, its said that a possible reason can be because of the skin rubbing against skin or against clothing; friction and sweat could lead to the formation of skin tags. This condition is thus associated with obesity because it’s more possible for friction between skin to occur in this. Skin Tags are also believed to be hereditary and can appear in a person if any one member of the family has this condition. It’s also seen in people who have diabetes(2). There are two types of terms in medicine- signs and symptoms. These help in the diagnosis of any sort of condition, even cancer. Skin tags don’t show any signs or symptoms that make it a cancerous outgrowth. If it starts showing signs which you can visibly see with your eyes, and symptoms that you can feel, then it’s probably best to get it checked(3). How is skin tag removal done? You can use some natural treatments to try to get rid of them. Like using Tea Tree oil, Baking soda, Aloe Vera, a good scrub for which you can use oats or sugar probably. But in most scenarios, it’s better to get it removed by a professional rather than doing it by yourself(4). Never try to cut off your skin tag as this could cause bleeding and infection. There are certain over-the-counter drugs that you could use to help get rid of it without any side effects. Cauterization: This is a procedure where your doctor will apply a small amount of heat on your skin, this will burn off the skin tag and make it easy to remove. Cryosurgery: In this method, your doctor will apply a small amount of liquid nitrogen on your skin tag to freeze it, which will aid in it falling off. Ligation: This is when the doctor stops blood flow to the skin tag by tying it to the bottom, and then removing it. Excision: This is when your doctor manually uses a scalpel to cut off the skin tag. They’ll first nub the area around the skin tag and then use a scalpel or a pair of medical scissors to cut it off. Why do I have skin tags on my neck/face? Skin Tags appear in areas of the skin which has many folds to it. That means when it usually appears on your face it’s probably going to be on your eyelids due to the skin rubbing against skin, same reason why it appears on your neck as well (5). Skin tags are not painful at all, if they start becoming painful you might have to get it checked. Skin tags ruining your appearance? Get it checked by a dermatologist! 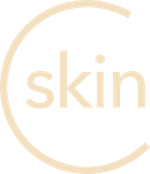 Download the CureSkin App now by clicking here to get the best treatment. It’s easy, fast and affordable!